There is a reason one of the “Five C’s” is citrus. Arizona is one of four states that supply our nation with citrus. This is due to the sensitive nature of citrus trees. They do not tolerate frost, especially lemons, and the leaves stay green all year long. Some citrus varieties bud and produce fruit all year long, but the peak season is November through January. Lemons, tangerines, oranges, and grapefruit are the frontrunners in the citrus groves. So celebrate the season by giving the gift of citrus! Drop by your local farmer’s market to stock up on your local citrus of choice. 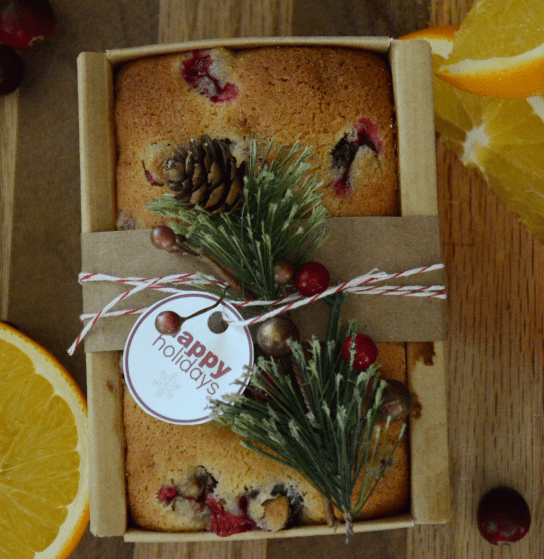 Here are some great gift ideas to share the citrus love! Slice citrus (lemons, lime, oranges) into thin slices, about 1/8″ of an inch). Lay citrus on top of a wire rack on top of a pan and place in the oven until dry, about 2-3 hours. 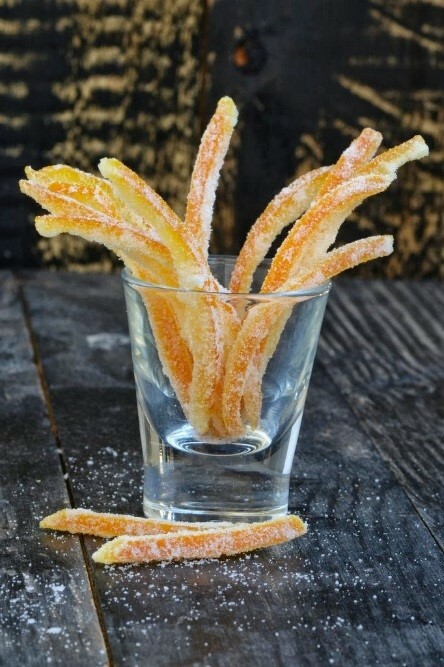 Remove the dried citrus and allow to cool. Break up your soap base into chunks and place in a microwave-safe container. Microwave on 20-30 second intervals, stirring to make sure it’s smooth and melted. Add a few drops of essential oils to the melted soap base and stir. Step 3. Lay out the citrus inside the molds before pouring the soap. Step 4. Pour the soap base into the molds. Be careful it can be hot. 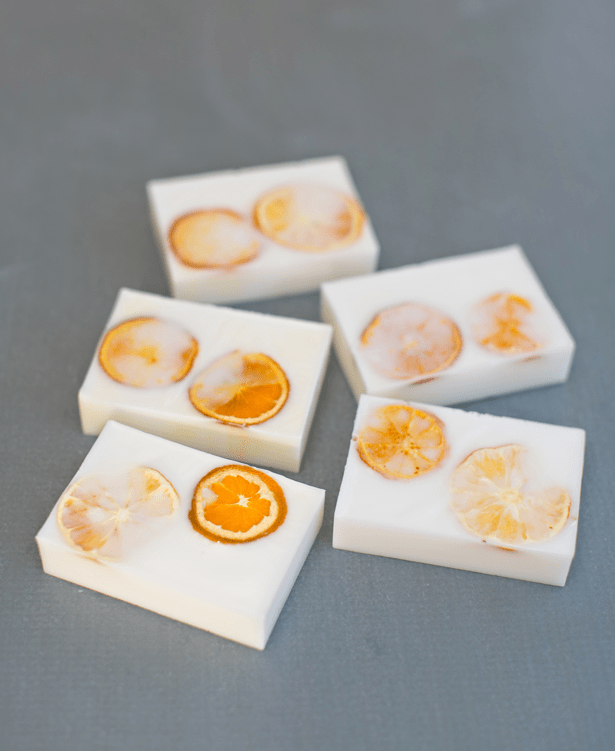 After a couple of hours, pop the soaps out and you have beautiful, handmade citrus soaps! Grease and flour a 9×5 inch loaf pan. Whisk together flour, baking powder, baking soda, and salt. Stir in orange zest, cranberries, and pecans. Set aside. In a large bowl, cream together margarine, sugar, and egg until smooth. Stir in orange juice. Beat in flour mixture until just moistened. Cut the oranges in half and juice them. Cut each half in half again and take a spoon to scrape the pulp out, leaving a clean pith. Heat on high until water comes to a boil. Pour off the water. Repeat twice more. Combine sugar and water in the saucepan and bring to boil over high heat until temperature reaches 230°F. Add peel and reduce heat to simmer. Simmer until peels are translucent (30 minutes or longer). Remove peels from syrup and roll in sugar if desired, and set on a rack to dry for 4-5 hours. Once the peel is dry dip in tempered dark chocolate – shake off excess, and place on foil, wax paper, or baking sheet to dry. For more fun articles check out the Fill You Plate blog! New articles are posted every week! Or if you’re looking for more great recipes check out the Fill Your Plate recipe section. This entry was posted in Cooking, Diet Tips, Fill Your Plate, Food, Fruit, Grocery, Health Tips, Healthy Eating, Produce, Recipes and tagged Bread, Candy, citrus, cooking, oranges, Recipe, Soap, summer, winter. Bookmark the permalink.